I have always associated Shiseido as my mom’s favourite brand during her younger years, and though intrigued as I may be, I never could afford it as a student.. so, Ettusais ( Shiseido‘s sister brand) has always been my best bet! Now that I am in my late twenties, my skin is increasingly in dire need of more intensive skincare so I reckon it’s about time I up my game and continue the family’s favourite. 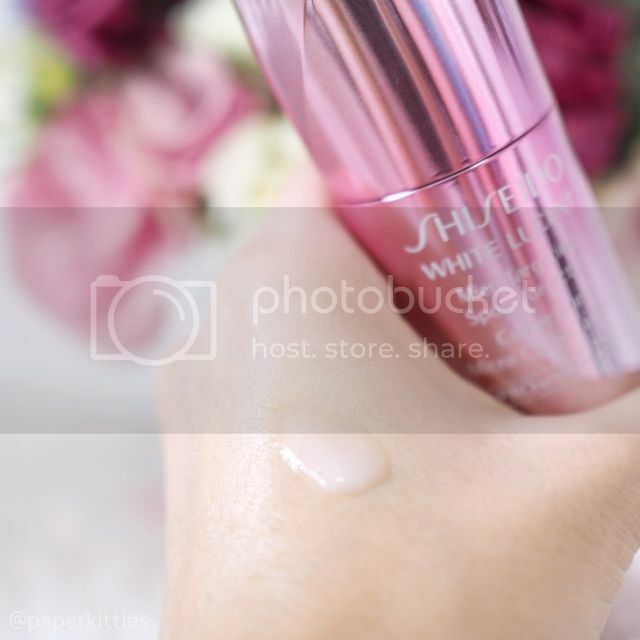 I couldn’t think of a better way to jumpstart into exploring Shiseido‘s brand than to try out their newly launch White Lucent range. 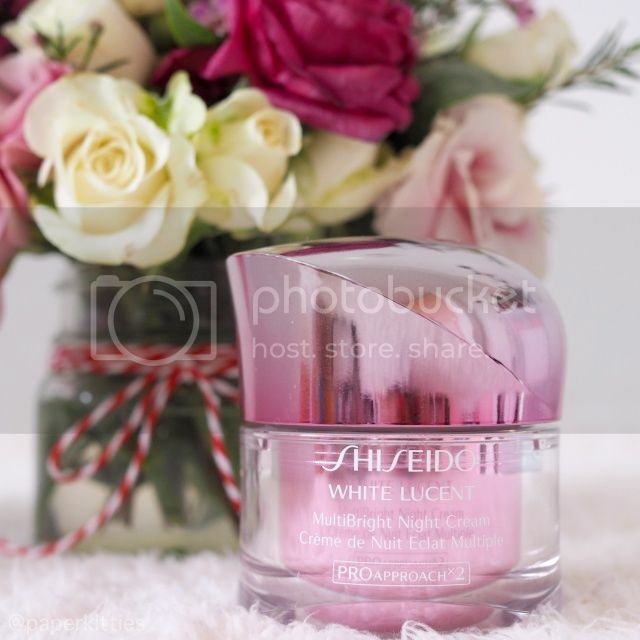 An innovative and renewed whitening skincare treatment, Shiseido White Lucent lightens spots with quick-acting effects and resist new spots in the future. 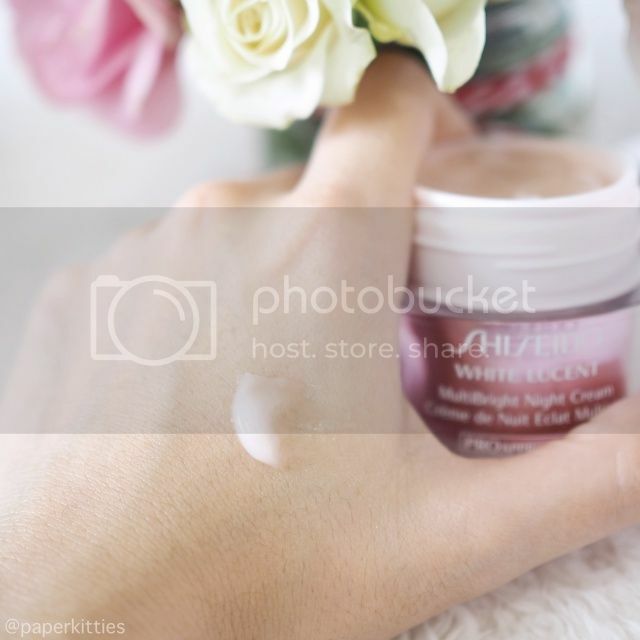 In fact, religiously using Shiseido White Lucent is akin to ongoing whitening skincare treatments – but at the comfort of your own home with a more affordable price tag! Inspired by professional cosmetic procedures, Shiseido’s deep roots in pharmaceutical research led to this emerging, double strike spot-reducing technology incorporates Shiseido’s PROAPPROACH×2 that helps with spot-prevention and strengthening the skin’s resistance to darkness and spots. The result is clear, bright skin that maintains beautiful, ongoing radiance..
Like a skin-whitening IV drip, Shiseido’s Deep Infuse Technology softens the skin’s surface to deliver ingredients deeply, for more responsive and radiant skin – skipping the invasive step that is! Results show that it is effective on hard-to-reduce dark spots, leaving skin feeling as if it has been regenerated. Basically I used this as a toner, a generous pump is applied over my face and neck (and my shoulders when there’s leftovers :x) since the alcohol-free formula meant that it is also soothing and calming. Despite its thicker-than-usual-toner texture, it works just the same~ or perhaps even better, with its awesome brightening feature. The thing is, when I start out a new range, I tend to incorporate them to my skin routine one step at a time. 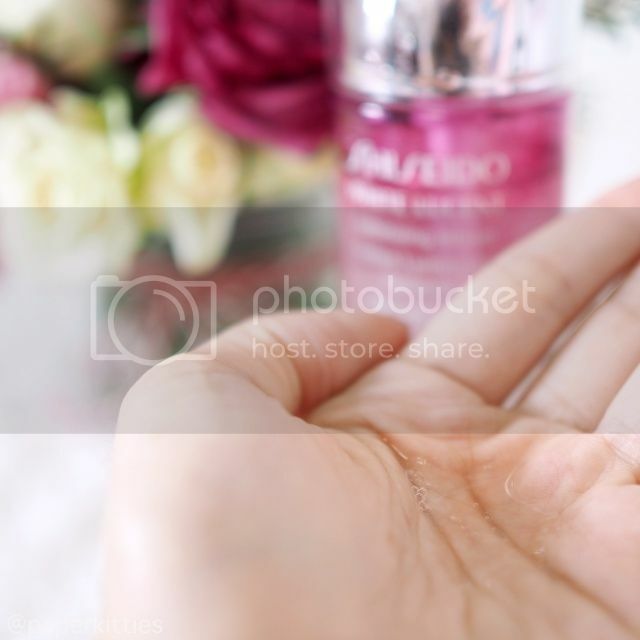 Shiseido White Lucent Luminizing Infuser being the first meant that I could see the result the quickest and it sure doesn’t fail to impress me! 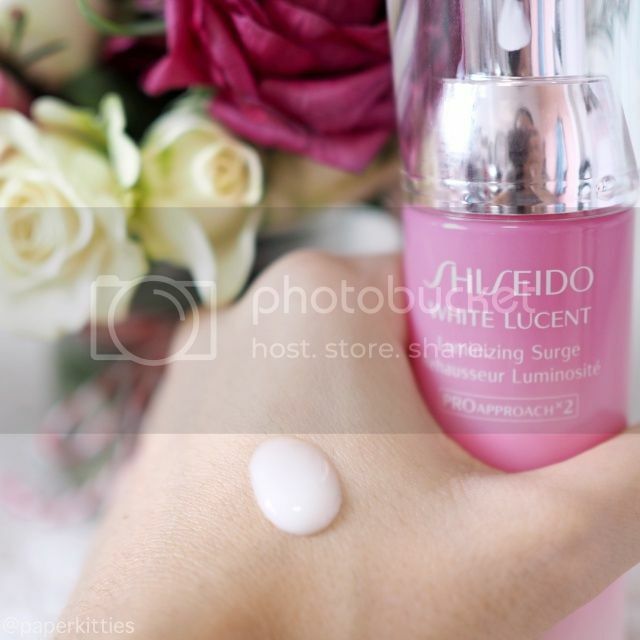 Like a second layer of skin, Shiseido White Lucent Luminizing Surge creates an invisible power veil to discourage reappearance of spots. Using the Luminizing Surge Technology to maximize the brightening treatment’s effects by protecting skin with an ion veil and aiding its barrier function while delivering whitening components. It instantly increases skin’s smoothness and provides protection from external aggressors, discouraging spots from reappearing. One pump is more than sufficient for the entire face, as an additional step to hydrate my skin. Since prevention is better than cure, I have yet to see much effects and probably won’t as much until a later period when I start my whitening treatments with Prive. 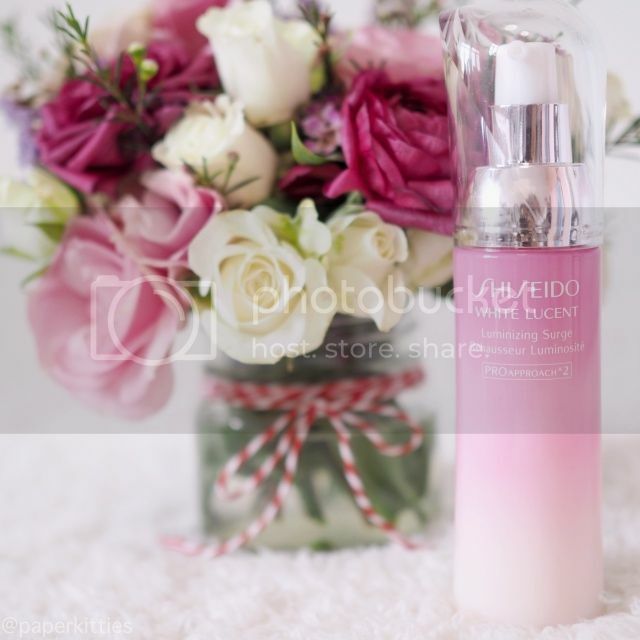 Reason being that Shiseido White Lucent Luminizing Surge provides an additional, sort of second skin layer treatment to boost skin’s natural healing powers for a quick recovery and protection from external stimuli; thus prolonging each treatment’s efficacy while preventing future spots. Accurately targeting spots scattered all over the skin with laser-like precision, Shiseido White Lucent MicroTargeting Spot Corrector is designed to reduce the appearance of scattered spots with a mechanism inspired by the way laser therapy targets larger, more noticeable spots. By optimizing skin’s turnover, this serum aims to reduce the appearance of existing spots and helps skin resist future pigmentation, for continuous, radiant brightness. One pump of Shiseido White Lucent MicroTargeting Spot Corrector produces about 1/3 the amount of product as compared to the former two. It’s texture is very lightweighted and absorbs the quickest among the lot. With oil of low molecular weight incorporated into the complex, this serum can penetrate deeply into the skin for extra-precise targeting. 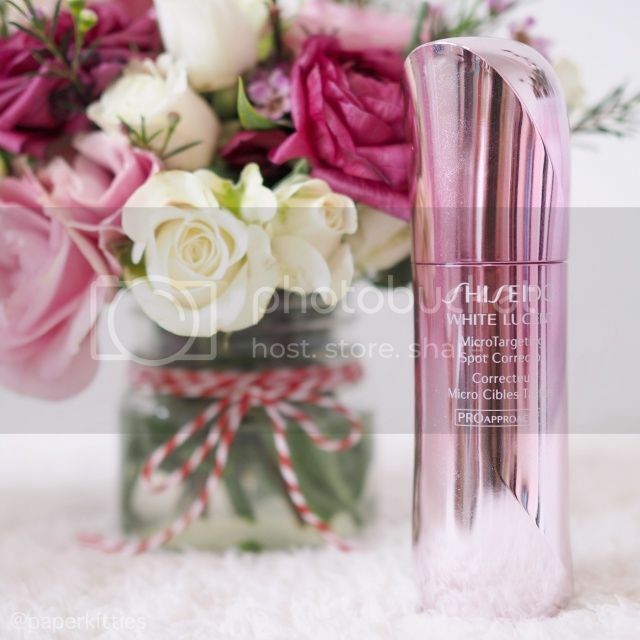 Shiseido White Lucent MultiBright Night Cream harnesses the power of overnight restorative factors to resolve multiple skin tone problems altogether. By encouraging the skin’s Moonlight Recharge Factor, overnight treatments nurture skin to protect it from the damage incurred throughout the day, diminishing the appearance of spots, dullness, uneven skin tone, acne scars and noticeable pores. By resisting melanin and its excessive production, skin can maintain ongoing brightness and radiance. With a product that promises so much, one would expect this night cream to be very rich but you’ll be surprised! It’s water-gel texture meant that it is suitable even for combination to oily skin, absorbs quickly without leaving a greasy residue. In fact, it feels hydrating for my skin too – a plus point for sure. Among all the benefits that it has promised, I definitely noticed my skin so much brighter and glowy! For someone with acne-prone skin, it is inevitable that my face can be plagued with the scarrings and dark spots and that can be very depressing when all I wanted is a good complexion. Having religiously used Shiseido White Lucent range for a month, I have noticed that my skin looks visibly brighter and some acne scars have since faded. Obviously the deeply embedded ones will take a longer period of time before they fully disappear, but Shiseido sure gave me the confidence to continue using it! Although I have always associated Shiseido as a brand that is better suited for more matured skin, I dare say that the White Lucent range is very much suited for the 20-30s age group with it’s lightweight texture that absorbs easily without being too rich for my skin. If you are interested to giving it a go, why not pop over to www.lucentskinlab.sg to redeem a free sample kit! 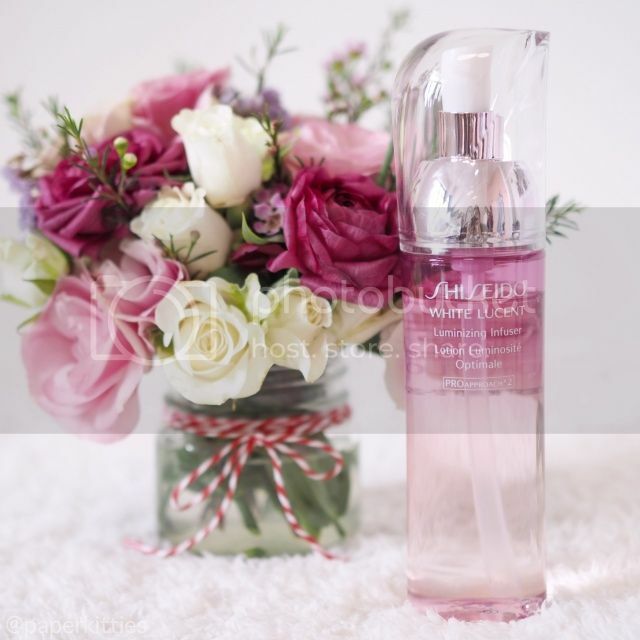 Next Post Of all things pink and girly: Crabtree & Evelyn V’day Special, Polished Hand & Foot Spa, KARAFURU!